2004 Aquasport 215 Osprey Sport HARD TO FIND DUAL CONSOLE LAYOUT. 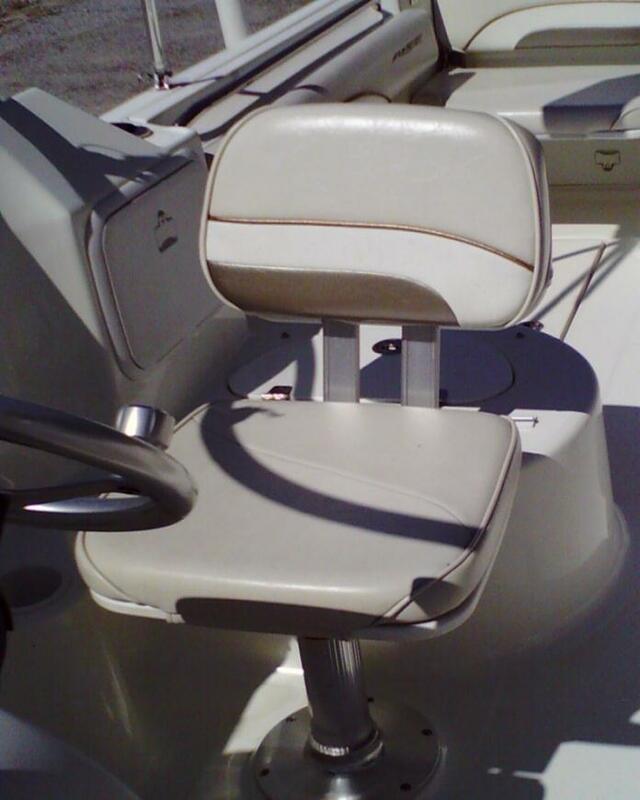 ADVANTAGES OF A CENTER CONSOLE WITH THE COMFORT & CONVENIENCE OF A BOW RIDER. CLEAN BOAT, LOW HOURS ......... WON'T LAST LONG THIS TIME OF YEAR. 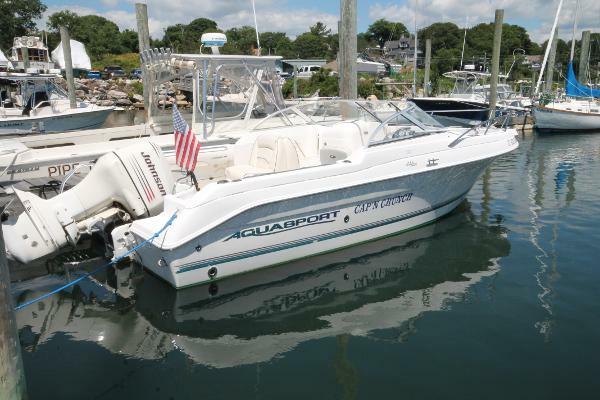 2004 Aquasport 215 Osprey Sport, 2004 Aquasport 215 Osprey Sport with Yamaha 200HP engine. 2000 Aquasport 215 Osprey Sport Take the kids to the schools in the Aquasport 215 Osprey Sport. Especially built for the family, this boat has plenty of room to move from bow to stern, as well as special features like a deeper bow with tall, stainless steel handrail piping for greater security. And to keep the boat organized, there is abundant storage for tackle, rods, skis, diving gear, and whatever else the kids can drag on board. 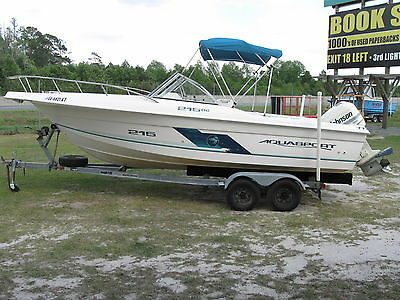 2005 Aquasport 215 Osprey Sport This Aquasport 215 Osprey Sport is in very nice conditon. Powered by a Johnson 175 hp. outboard. One owner boat. Always professionally serviced. 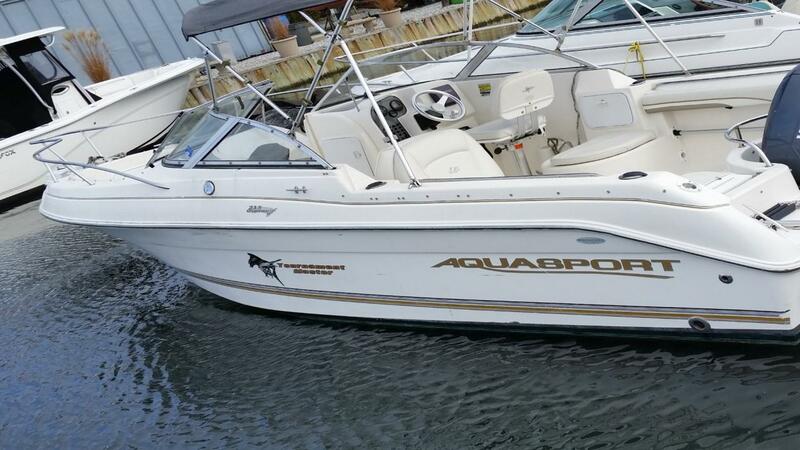 2005 Aquasport 215 Osprey Sport 215 Osprey Sport Dual Console .One owner boat with very low hour's.Maintained by original Dealer to Factory Specification's. 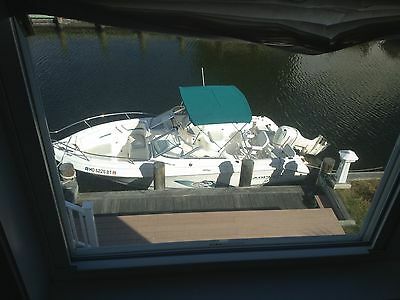 This is an exceptionally clean well maintained spotless offering .All cushion's stored inside for winter. 2004 Aquasport 215 Osprey Sport The engineers at Aquasport have redesigned the Aquasport 215 Osprey Sport. The walk-through cockpit includes a 100-quart livewell, plenty of tackle storage, a molded sink, and storage for six rods. And thanks to the enormous deep-V hull, this boat can go just about anywhere there's water. The 215 Osprey is easy to clean and easy to maintain. 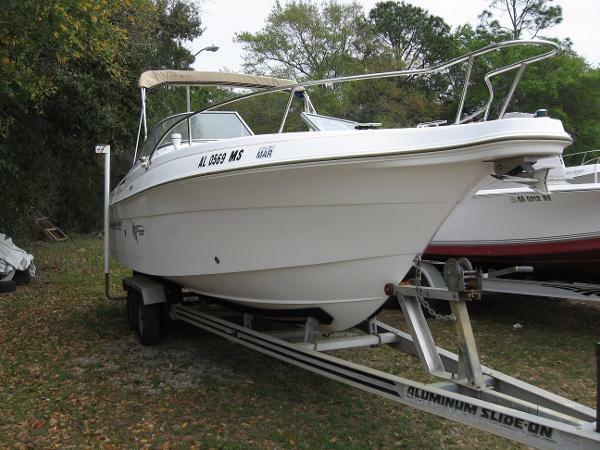 This boat comes with a Yamaha 200 HP fuel injected two stroke engine with 125 hours on it. There is a built in Garmin GPS/Depthfinder 5" screen and a VHF radio. There is a bimini top, cockpit and bow cover included. In the side console is a porta-pottie. The battery system is a dual battery system with selector switch. There is no trailer included with this package. 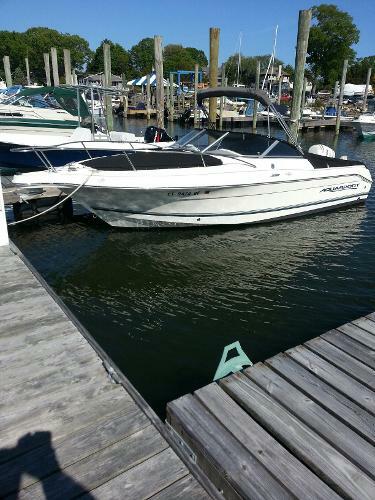 This is a clean boat and is ready to take your family out for a great day on the water! Nice condition and boat is turkey. 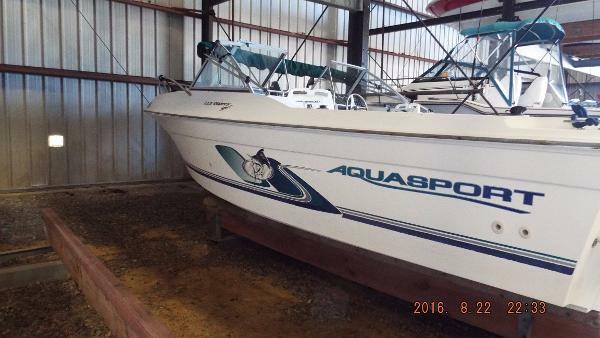 Boat is in the water and can be tested for serious buyers only please. Design and features are like current modern dual consoles, head is located in front of passenger. Boat features huge fish boxes, live well, salt water wash down and fresh water wash down as well as aft swim platform shower. Recently added trim tabs make boat useable in any sea conditions, vessel does not lean to gear or passenger since you can always trim it to be level and true. 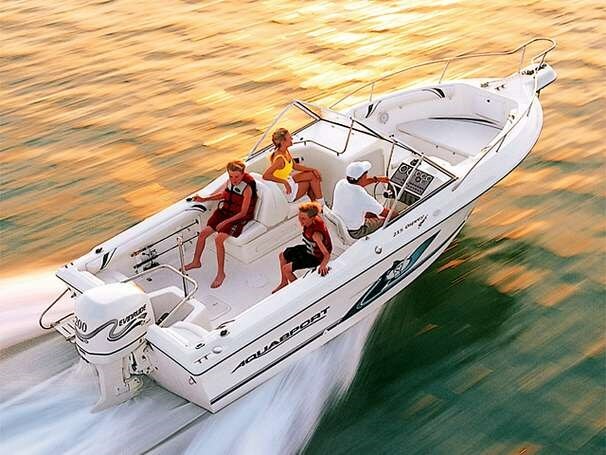 When seas are rough just trim the bow down to keep the ride smooth for your guest or family. 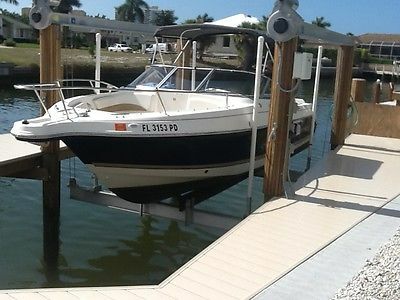 Bullet proof 2004 Johnson 175 HP 2 stroke oil injected ( I have alway ran ethanol free fuel), very reliable and smooth sea star hydraulic steering. Included are GPS, Digital Depth and Fish Finder, VHF Radio and Stereo. Boat has dual batteries and built in battery charger. 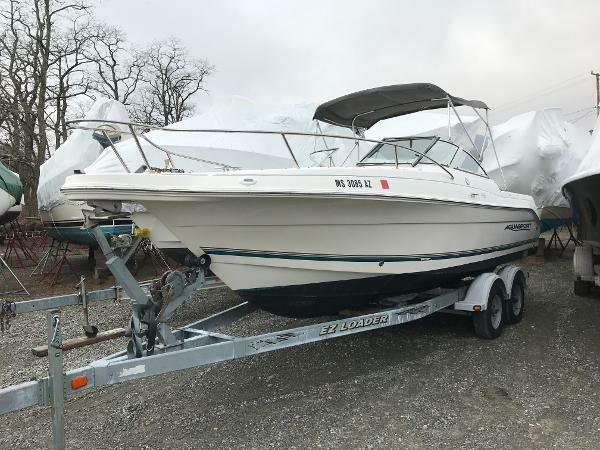 Everything on boat works except the fresh water wash down pump and MPH gauge (GPS tells you anyway) You will not find a nicer fully featured DC boat for the price with a trailer that is ready to go. Boat and trailer titles in hand and clear. I am selling because I have ordered a new larger boat. 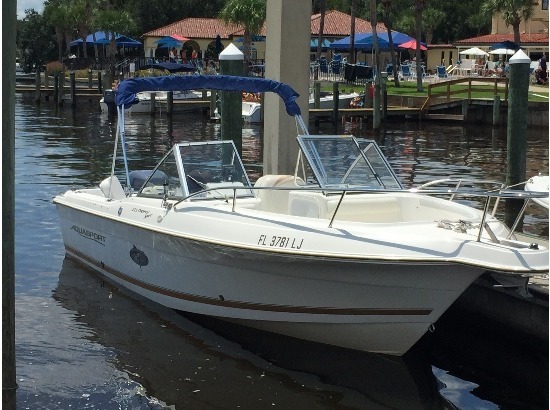 Clean 22 Dual Console in "great" condition with all stainless steel metals, low hour 200 OX66 Yamaha salt water motor runs "great." Excellent fishing and family fun boat. Use as fishing and as sport/ski rig. Live well, 2 fish boxes, enclosed head, removable rear jump seats, swivel helm seat, fold down back to back passenger seating, Tilt Hydraulic steering, bow seating, freshwater/raw wash-down, sink, hand shower, Bimini top, complete boat cover, tons of storage space. Bolsters/dive ladder and two new batteries. Zero work needed and includes everything you need to get on the water today! No trailer, stored on lift in Marco Island, Florida. Cash only. Serious inquiry only. No dealers please. (See BoatTEST.com captains report (http://www.boattest.com/boats/boat_video.aspx?ID=370) Inventory included: Garman GPS,Garman Fish finder,Standard Horizon VHF Radio (2 years old),JBL Marine Stereo, CD & MP3 player w/ 4 JBL Speakers (2 years old), Coast Guard Kit & Lifejackets (2 years old), All canvas and Upholstery (New - 2 years ago), Dock lines, fenders, anchor (all 1 year old). Please contact the owner @ 239-770-7457 or malica1208(at)aol(dot)com. 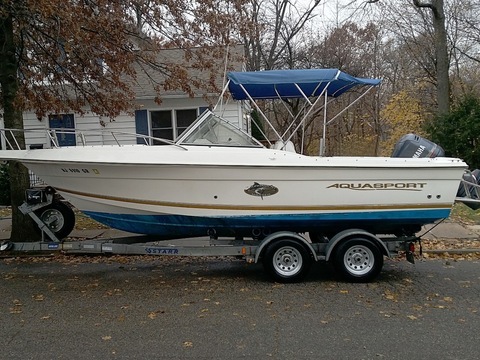 2004 22 FT. AQUA SPORT V-SHAPE BOAT.OUTBOARD 200 HP YAMAHA, GPS, FISH FINDER, TRIM TABS, CD PLAYER, ALUMINIUM TRAILER W/BRAKES INCLUDED. EXCELLENT CONDITION.BARELY USED.